Victoria Stilwell has been tapped to lead the content development and creation of eHow Pets - a brand-new YouTube channel to be launched on April 1, 2012. As part of an exclusive partnership with the premier online digital content company Demand Media, Victoria will be featured in the majority of the new channel's web video series, providing viewers with a wide-ranging array of training videos, pet-related featurettes, how-to segments, and fascinating reports from the world of dogs, cats and more. Subscribe to the (free) eHow Pets YouTube channel here. The new eHow Pets channel is one of several that were awarded to Demand Media by Google (which owns YouTube). Best known for its high-traffic online properties such as eHow.com, Cracked.com and Livestrong.com (a joint venture with cyclist Lance Armstrong), Demand Media has already launched 2 new channels as part of YouTube's new effort to harness the power of the popular video-sharing site among online consumers. eHow Home and Livestrong Woman both feature well-known experts in their respective fields (PBS star P. Allen Smith and celebrity yoga instructor Tara Stiles), and were launched earlier this year as part of YouTube's larger rollout of up to 100 new channels of professionally-produced content. Asked about why she chose to partner with eHow Pets, Victoria says, "I've been looking for another online platform through which I can not only share my passion for helping dogs and owners positively build healthier relationships, but also help to shine a light on the countless untold stories I encounter every day in the dog world. There are so many amazing heroes, both human and canine, who deserve to be recognized, and eHow Pets will be a dynamic vehicle I can use to help tell those stories." Victoria has been filming for the new channel over the past several weeks, including stops at Westminster Dog Show in New York as well as various organizations throughout the country. While much of the content for the new channel (which will be available globally) will feature Victoria's training tips in the form of how-to videos and training segments, she is also planning a few surprises. 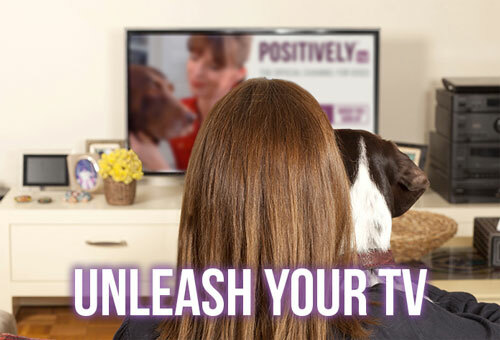 "We've all seen the outrageously funny and heartwarming pet videos on YouTube, and I'm really excited to be able to partner with Demand Media to help celebrate the lighthearted side of the joys and trials associated with the pets we love. "I'm really excited about using this new YouTube platform to more closely engage with my fans and dog lovers all over the world, and we're already asking people to provide their feedback about the type of content they'd like to see on the new channel. Although the channel doesn't officially launch until April, users can already go to the channel homepage and leave their comments. Between Demand Media's expertise at producing dynamic web content and my continuing desire to make the world a better place for animals and their people, we'll be sure to read (or watch) every comment and incorporate it into what I think is the future of interactive video." Subscribe to the channel and leave your comment here.